In the beginning everyone wants to get to 12 weeks. It's when risk begins to decrease and also begins all of the exciting tests and ultrasounds to learn more about your baby. I remember just wanting to say I was "12 weeks" as if it were yesterday. A few weeks ago we officially reached where we only had 12 weeks left. 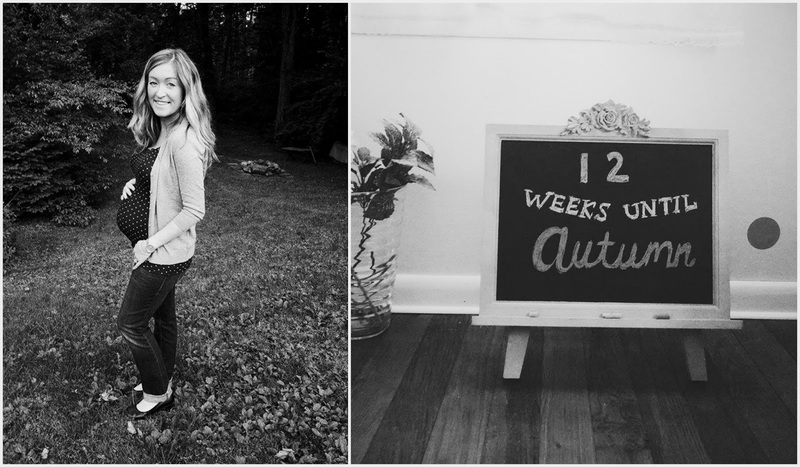 Writing that number on Autumn's new little chalkboard for her Nursery made me emotional, in a good way. I was so proud of myself for how far I've come and most especially proud of Autumn and how well she's doing. She's growing in there and teaching me the true meaning of patience. There were times when I was alone and things around me I lost all control of and I had my own little breakdowns. In moments of weakness I felt I had no strength. I just rub that little genie lamp of a belly and I realize she needs me. My little miracle needs me to keep staying strong and taking care of myself. Together we've made it so far and continue to make each day count. #80: I want you to experience color but also appreciate the beauty of black and white.